PRETORIA, Aug 14 2008 (IPS) - What do they have in common – the landless widow with a deaf son in Bangladesh, the 12-year-old miner in Kyrgyzstan, the Ugandan farming couple with 12 children and the South African domestic worker who loses her home when her husband dies and her job when she breaks a leg? They, and their children, are trapped in chronic poverty, even as their countries show economic growth. Worldwide, between 320 and 440 million people live in chronic poverty. They need not. Five policy measures could help them escape the poverty trap, says the second international Chronic Poverty Report 2008-2009, launched in London last month. The report was produced by the Chronic Poverty Research Centre (CPRC), a global partnership of universities, research institutions and NGOs from countries including Bangladesh, India, South Africa, Uganda and the UK, and is funded by the UK government’s department for international development. The centre is led by the University of Manchester, UK and the UK’s Overseas Development Institute (ODI). It intersperses these personal stories with analysis, and identifies five factors which underlie poverty: insecurity, limited citizenship, spatial distribution, social discrimination and poor work opportunities. The solutions to these ‘poverty traps’ include nets of social protection, particularly through cash transfers to households; public services for the hard to reach poor; anti-discrimination and gender empowerment measures; building individual and collective assets, and strategic urbanization and migration policies. Perhaps the report’s most interesting proposal is to expand welfare systems to guarantee the chronically poor a basic income, both as their right and as a way out of poverty. The experiences of Brazil, Chile, India and South Africa show that social transfers in cash or in kind reduce vulnerability, allow the poor to engage in more productive economic activities, and are generally judiciously spent. According to the researchers, social protection is affordable and can be scaled up even in relatively poor countries, as Bangladesh and Uganda have shown. However, governments often have questions about creating dependency and the long-term financial commitments required. Gaining a constituency for social protection is key, says the report, and it calls on world leaders to commit to the drawing up of a Global Social Protection Strategy by 2010 to target the eradication of extreme poverty by 2025. This strategy would build on the Millennium Development Goals of halving poverty by 2015. Controversially, the report notes that some governments that have effectively responded to poverty – Ethiopia, Uganda and Vietnam – are not wholly democratic. Democracy alone does not guarantee pro-poor policies, says the report. Some ‘elite projects’ (a polite term for mildly authoritarian regimes) have forged a social compact between citizens and the state that placed chronic poverty seriously on the policy agenda. Policy-makers must get “thinking beyond the contemporary mantra of democracy, elections and decentralization”. “In many cases democracies produce governments which are very effective in reducing poverty – witness recent experience in Brazil, for example,” he added. “There are less democratic regimes which have been and are very effective in reducing poverty, and the international community needs to recognise that part of this effectiveness may be due to the nature of the regime, where a strong connection between regime and citizens has been forged through a popular movement, which generates a ‘social compact’ between elite and the poor as part of a national development ‘project’. Only a few ‘elite projects’ are so considerate. In mineral-rich countries, like Sudan, Myanmar, Angola, and Congo (Brazzaville), predatory elites siphon off, through non-transparent fiscal systems, revenue that could ease poverty. Worse, some violently predatory governments so scare their citizens that they would rather avoid any dealings with the state, says the study. In one of the most interesting chapters, the report analyses several states. Of the 32 countries identified as chronically deprived, 22 are considered fragile states, racked by conflict, war and greedy elites. A fragile state is one that does not reduce risk to its citizens through providing law and order, services and infrastructure. “Shoring up fragile states should be as important to donors as tackling climate change”, Shepherd said at the launch of the report. In mineral-rich but ‘poor-unfriendly’ states, donors should support advocacy efforts to empower citizens and provide technical assistance for social protection, mainly on health and education, nudging such states to become institutions that interact meaningfully with poor people. In resource-poor countries with ‘poor-friendly’ governments, donors should step up budget support, reduce aid volatility, and shoulder much of the cost of providing basic services and social protection. This, until economic growth raises the revenue base. Eventually, functional states should set up effective systems of public finances. People who should pay taxes will do so, instead of evading them, and the poor will benefit. Economic growth eases poverty, but a rising tide does not lift all boats, warns the report. Growth alone does not automatically benefit the chronically poor. Living in remote areas, suffering from food shortages and poor health, exploited in work, not fully participant in social and economic life, they are locked out of the national growth process. The much vaunted tool, the Poverty Reduction Strategies, have failed, says the report. Perceived as donor-owned products, they neglect the chronically poor, lack serious analysis of poverty, and ignore issues of justice, discrimination, gender empowerment, and migration. They remain, says the report, a missed opportunity to build a fairer social compact. Two trends stand out: the dramatic reduction in the numbers of the poor in China, and that in Latin America and the Caribbean poverty is becoming urban rather than rural. In other parts of the developing world, 70 percent of the poor are rural but, given the world’s rapid urbanization, a shift towards urban chronic poverty can be predicted. This demands bold policies towards migration and urban planning. Instead of seeing migrants as a problem, as policy-makers and urban residents tend to, they should be assisted in gaining a share of urban benefits, productivity and growth. In remote areas, establishing urban growth poles can boost local economies. At the root of poverty lies powerlessness. The chronically poor have limited citizenship and little or no voice in the capitals. Society is mostly indifferent to them. But social movements – from cooperatives to ethnic minorities, from the landless rural to urban squatters – can influence the public policies needed to eliminate the chronic poverty traps. 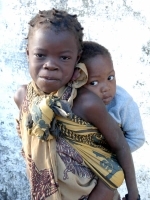 “The chronically poor in developing countries do not need to wait forever,” Shepherd told IPS.